Bliss and elegance – this is what the word “glamour” is associated with. 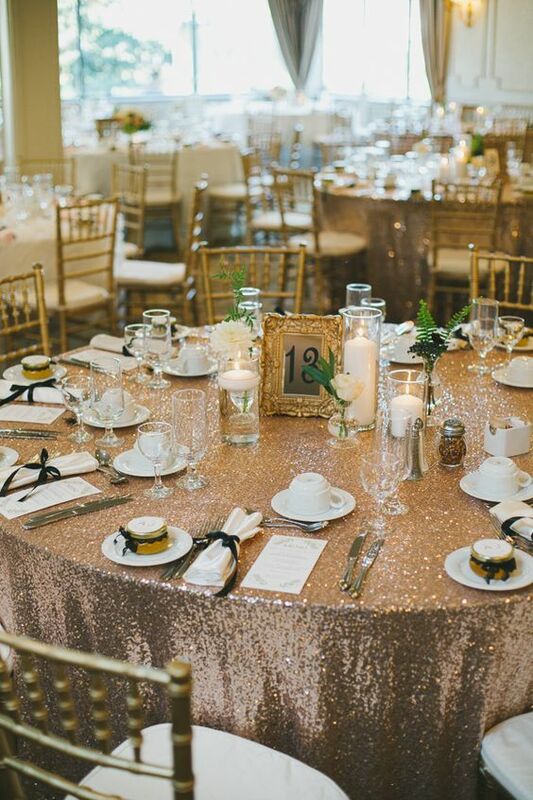 If you like to shine and you are not a fan of minimalism, a glamorous ceremony is just right for you. The perfect spot for a glamour style wedding will be an elegant, richly decorated hall, restaurant, mansion, manor house or a palace. This type of stylish and exquisite places and their surroundings will also be the perfect background for the wedding photography session. During the party in the glamour style, you cannot miss tablecloths and treads with gold or silver accessories on the tables. Decisive contrasts, such as white and purple or black, will also work well here. You can't forget about impressive flower bouquets and decorative candles. On the table you can also sprinkle sparkling crystals, pearls or fluffy feathers. 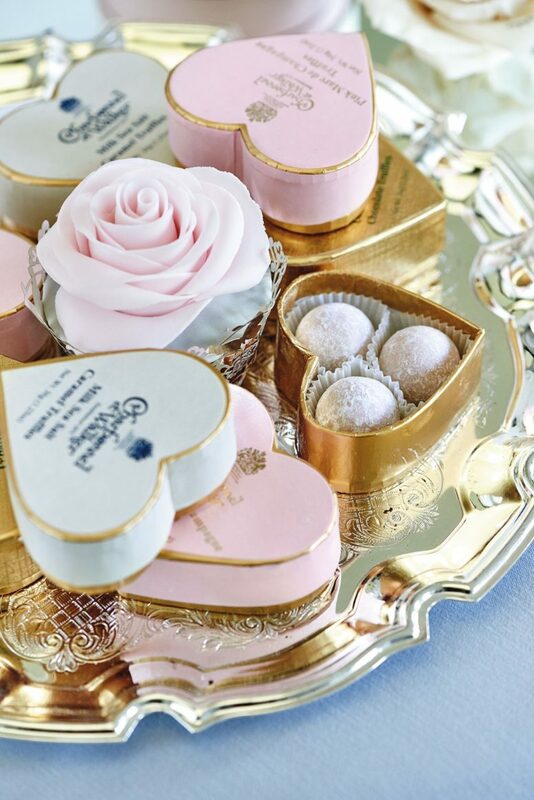 It's a good idea to decorate the wedding cake and other sweets that you will serve to your guests during a glamorous wedding with lace, flowers or pearls made of sugar mass. As with table decorations, bold color combinations, such as white, black and red, will work great. The style of glamour fits perfectly with bouquets made of roses or orchids. 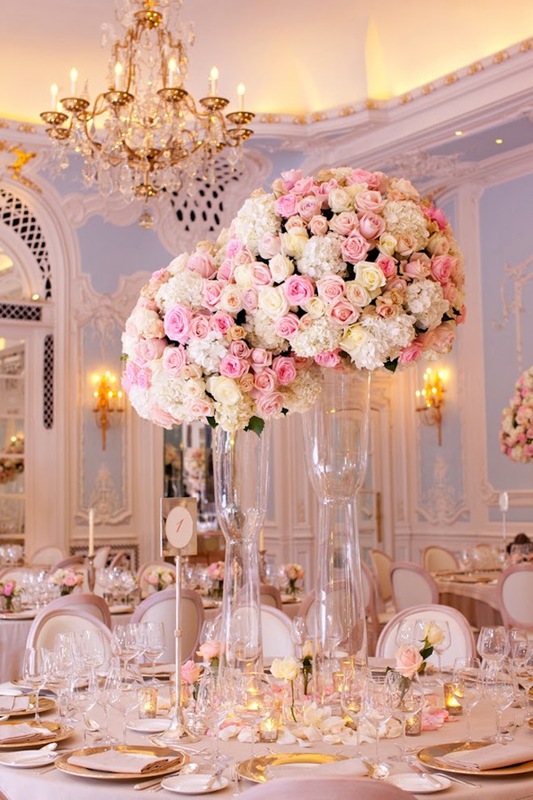 It is important that the flowers are kept in one color tone, for example pink or ecru. 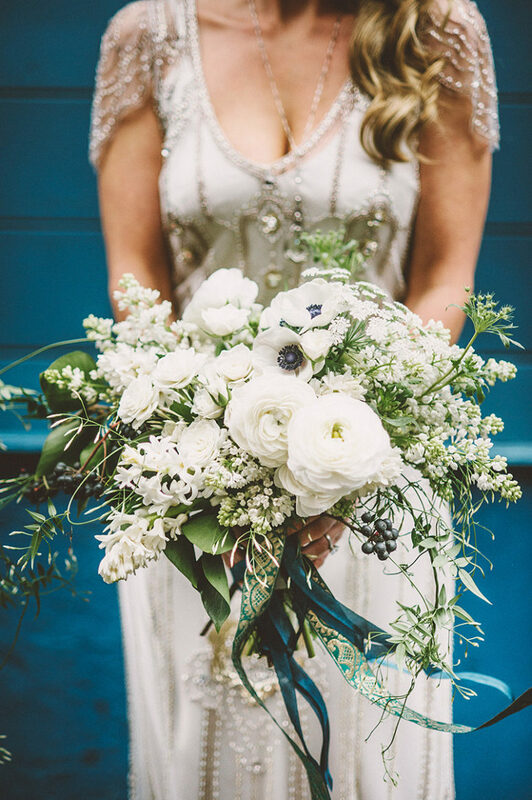 You can also give up the classic bouquet and use one made of jewelry. 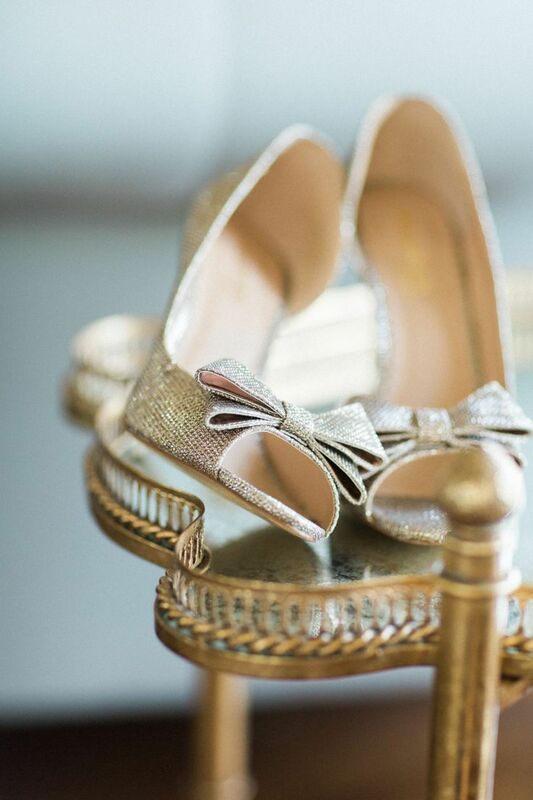 Instead of classic, white shoes, you can decide on a model in a shade of silver, gold or powder pink. The perfect complement to the dress will be long, stone-studded earrings or a richly decorated necklace.